All most all people love to have their own privacy because it helps all the individuals to maintain their individuality. Now, with this growing technology and mobile phone usage, all most of apps are tracking the locations of their users. Although we are the main persons who are letting the apps but we shouldn’t do it when we want our privacy. Most of you might already know that all the apps track your location data to serve you better and deliver you with the best experiences. This is good for some extent, but some of the apps secretly sell our private data to advertisers, and they will take the benefit of it. In the recent survey of new york times, it has been revealed that private data is precisely collected up to 14,000 times per day. Its just a huge number and we all know that. Right? Thankfully, this survey also says that IOS users are protected better than Android users. Although IOS is not that safe but it is better when compared to the android. 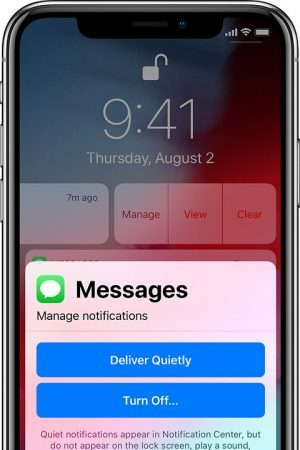 So, if you don’t want to take the chance and want to know how to turn off location tracking on your iPhone or iPad means don’t worry I’ll tell you about that in this post. 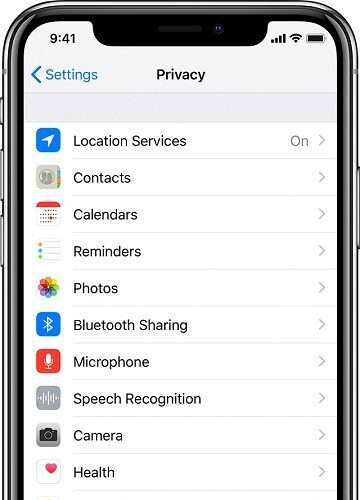 If you do care about your privacy and want to stay away from the hyper-targeted ads to your phone means you have to protect your privacy by following the below steps which are mentioned in this topic ” How to turn off location tracking on your iPhone or iPad. In this post, I am going to let you know about how to turn off location tracking on your iPhone and iPad. Along with that if you want to disable your location tracking entirely means I will let you know about that process as well. Firstly let’s know the process of how to quickly disable location tracking entirely and give no chance to the apps to trace your location in iPhone. To be honest, disabling location tracking entirely is not recommended. But you may have your own reasons for it. So, if you are incredibly likely to disable location tracking entirely means you can do that but remember one thing. If you do that, you won’t be able to access google maps and also you cant able to trace your phone if it’s lost. or you can’t even use find my iPhone feature. So, if you are ready with it, then you can follow the below process to disable your iPhone location tracking. Firstly, open the settings app on your iPhone. Then quickly scroll down and find the privacy option. After that, select location services. Then un-toggle the location services at the top of the menu. That’s it with that you can completely disable the location tracking/ If you want to follow another process then you can scroll down, and you can even disable the “Share My Location” option. 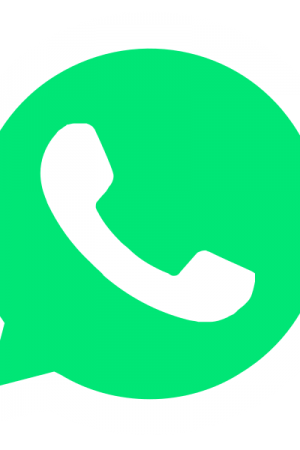 It’s a helpful feature which lets you to send your location to your friends through WhatsApp or other messages etc. If you are in danger you can just get help from this feature but if you disable that you might be in trouble at the times when you need to share location. So, it’s recommended to switch it on. You can follow the same process to the iPad as well. With this topic “ How to turn off location tracking on your iPhone” you can do it. For instance, google maps is always useful for almost all users. Most of the users always keen to use this app because it is helpful. But, at the same time, they don’t want other apps to access their location. In that case, you can restrict specific apps which you don’t need. If you install an app, then apple asks you at the installation process itself that whether this app required to access location or not. And if you want you can turn it on, or you turn it off. If you missed the step over there means you can do that now with the help of below process. So, let’s get into the process of How to turn off location tracking on your iPhone for a specific app. Click on the settings app to open it. Go and click on the privacy option. In that, you will find tons of options which includes the above option to turn off location as well. Here to you want to disable specific app so just scroll down to the App’s Listing and select the app. Now you will see options like: While using the app, Always and never. Choose the best option you want. I mostly recommend “while using the app” as primarily helpful. So you can use that feature. That’s it now head over and close the setting tab. This is How to turn off location tracking on your iPhone for a specific app. Until now we How to turn off location tracking for specific apps and completely as well. In this post, we will see how to turn off location tracking used by the iPhone itself in this topic. Most of you might know about the apps which track location, but some of you might not know about ” your iPhone tracking location.” It’s true that your iPhone also keeps tracing you for the “significant locations” you visit more. iPhone mainly traces this to provide location-specific suggestions when you are utilizing Siri or other voice features. But the good news is this data is encrypted and doesn’t go anywhere. It only stays on your phone to give you better insights. If you want to turn off location tracking on your iPhone for this option means you can also do that with the below process. Firstly open the settings tab. Just scroll down to system services you will find it at the bottom. Then find out significant location option and click on that option. Now, you have to enter your Apple passcode or give your Face ID or Touch ID. After that only you can disable the feature entirely by switching the Significant location option which right at the top. If you want you can delete the problematic entries as well just by click on each one separately. Whenever you press the edit button in the upper right hand, you can just remove each entry. If you do want to know how to keep your iPhone from remembering where you have parked it means you can do that with below process. This is one of the features of Apple maps, and it can remember where you have parked your car as your iPhone is usually connected to your carplay option or through Bluetooth. If you want to disable that option means you can easily do that by below process. Scroll down to Maps. And click on it. Go to the Your Car heading. That’s it this is all about the How to turn off location tracking on your iPhone and iPad. With these steps, you can simply turn off your location tracking on your iPhone, iPad and iPod touch as well. We all are living in a tech world where everything can be done with mobile devices. 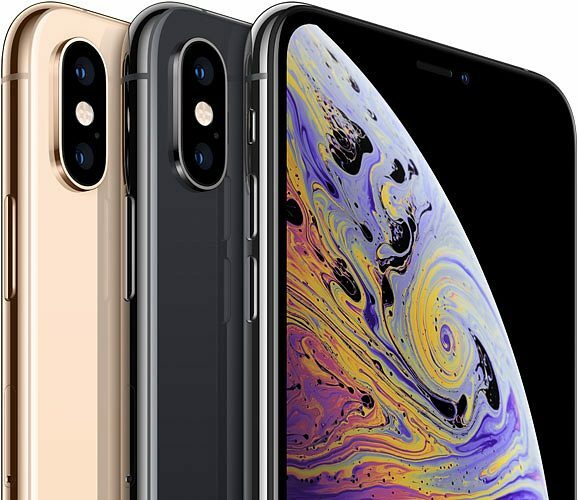 As you all know, when we say about mobile devices most you might love to hear about the APPLE iPhones. Because thousands of people around the globe use Apple. and some times very few of you may forgot your Apple ID. Now, if you have trouble access your Apple phone by forgetting your Apple ID or Email. Then don’t worry you can quickly resolve them with ease. I know how frustrating it could be when we lost or forgot your Apple ID and its recover Email. Whether you want to quickly access your iCloud account on your new device or even download something you like from the iTunes. You will have to know your Apple ID and Password. So, if you lost or forgot your Apple ID password, you can reset it by going to a web browser and clicking on resetting link option. But if you lost your Email address means then also you can recover that. In this post, I’ll clearly explain everything. I have gone through this process; that’s why I want to club all the information into the article. So, you will get all the information you wish to in this post about what to do next when you forgot your Apple ID. So, let’s jump into the post which helps you to find out Apple ID. Apple ID is one of the vital ID because it helps you to sign in to all your Apple Services. In case, if you forgot your Apple ID means you can follow below steps to regain the access. The first thing you have to do is make sure that you have signed in on one of your Apple Devices. Then click on that device and check your Apple ID which you are using Apple Services. For that, you have to go to your iPhone, iPod touch or iPad. Check your Apple ID in your ICloud and Itune store settings. In the old version go to the settings — Your Name. In new versions tap on settings — iCloud. Click on settings — Your Name — iTunes & App Store. New versions, you have to tap settings — Itunes & App Stores. Apart from these, you can also try other options as well when you forgot your Apple ID. In older version Click on Settings —- Accounts & Passwords. Whereas in newer version go to settings — Mail, contacts, calendars everywhere you can find the Apple ID. 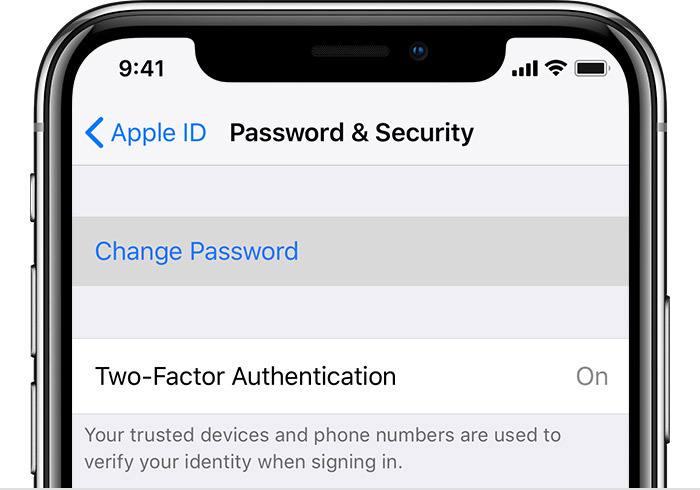 Now with these options, you can find out your “forgotten Apple ID.” But, if you missed your password means you have to follow the below process to reset your Apple Password. Let’s get into that process. If you forgot your Apple ID password means you can quickly reset the password with the help of Email Address. Firstly you have to visit iforgot.apple.com in your web browser. Then quickly enter your Apple ID’s email address. After that select “Get an Email” option and Click continue. You will get an email as “How to reset your Apple ID password”. Click on the reset now” option in the mail and enter your new password a couple of times. Click on Reset Password. That’s it, and your process is done. 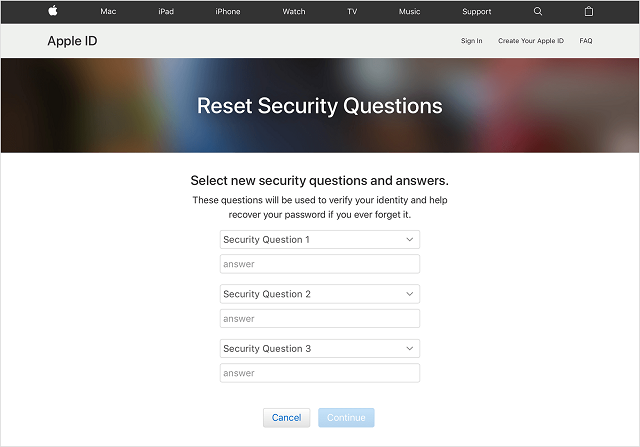 Now, if you want to choose “Answer security questions” option for resetting your password, then you should go to the same site. Then click continue and Answer security questions. Firstly verify your Date of birth and click continue. Now quickly answer the security questions you have selected at the start. Click on continue button and enter your new password a couple of times and reset the password. Now, if you have two-factor authentication enable means the process will be slightly different. Visit iforgot.apple.com and enter your Apple ID Email Address. Now click continue and enter your phone number which is integrated with your Apple ID. Click on continue, and then you will be asked to pick the devices connected to your account. Click on Allow and enter the Passcode which you got in your chosen device. Now, enter your new Apple ID Password and confirm it and you are good to go. This is how you can get your Apple ID and Email when you forgot your Apple ID, password and Recovery Email as well. If you still have any concerns over the Apple ID, Resetting password and more. You can quickly drop your comment below and ask us. FaceTime has been a frustrating app for Apple users. Although it is a useful app but its bugs making it lose its reputation. You can simply use other people microphone to hear their conversation and what’s going on. Once you call them via FaceTime on their Mac or other iPhone devices. Even if they don’t pick up their iPhone, also you can listen to their conversation. That’s a severe bug in the FaceTime. Although Apple has temporarily fixed these issues, still there are many more small bugs in this FaceTime which is making users to move away from FaceTime. Apple has made its group FaceTime feature turned off because it cants address the bug for now. So, people are rigorously searching for how to turn off FaceTime in iPhone, Mac, and iPhone? Then you are in the perfect place. Here I am going say the process of How to turn off FaceTime on your iPad, Mac, and iPhone. To quickly turn off FaceTime on iPhone all you have to do is follow the below settings. Firstly open your iPhone setting application. Now, switch the toggle to gray. That’s it with this process you can just turn off FaceTime on your iPhone device. Coming to the Mac. It’s somewhat different when compared to the iPhone. To turn off FaceTime in your mac, you should follow the below steps. Now you can see the turn off FaceTime option in that menu bar — tab on that option. Quickly “turn off FaceTime” option. Turning off FaceTime in the iPad is pretty similar to the iPhone. In this process all you have to do follow the below steps. Hover over to the setting section in your iPad. Quickly open the settings and scroll down until you find out FaceTime app icon. Now, quickly switch to the toggle grey. That means your FaceTime app is turned off. If you are wondering how to disable your FaceTime over cellular connection means follow these essential steps. Firstly hover over to the settings app from the home screen of your device. Now quickly scroll down to the “Use Celluar Data for section” option from the list. Find out the switch next to the FaceTime and toggle the switch off. 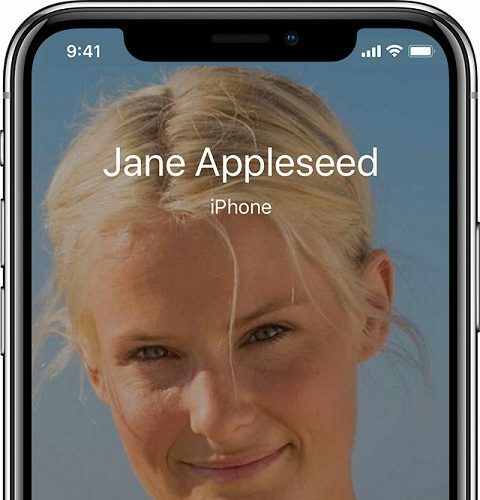 With these steps, you can quickly disable your FaceTime in cellular connections. 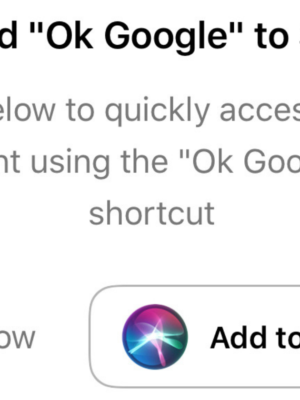 If you want to enable this FaceTime again means quickly follow the same instructions and turn on the switch so that you can allow the FaceTime app. If you are wondering how to use parental controls to restrict FaceTime in IOS 11 or older versions quickly means to follow the below process. How to use parental control for IOS 11 or old devices to restrict FaceTime. The starting process will be the same as every option. You have to visit settings app from the home screen of your desired devices like iPhone, iPad or iPod touch. Then tap on general settings which is down the list. Then tap on enable restrictions. Enter your password and click on disable FaceTime. That’s the natural process of the turn off FaceTime. This is how you can turn off FaceTime on your iPhone, ipad, and Mac Os as well. Hope you all had a clear view on this process. If you want to know more. Let us know. Do you want to try something new to control your iPhone? Then simply try controlling your iPhone using your eyes. When I say this you most of you might not believe it. But its fact, you can control your iPhone using your eyes. It was announced during the function at WWDC earlier this year. However, most of the people still don’t know about this yet. If you are one of them, then don’t worry you can do it by below steps. 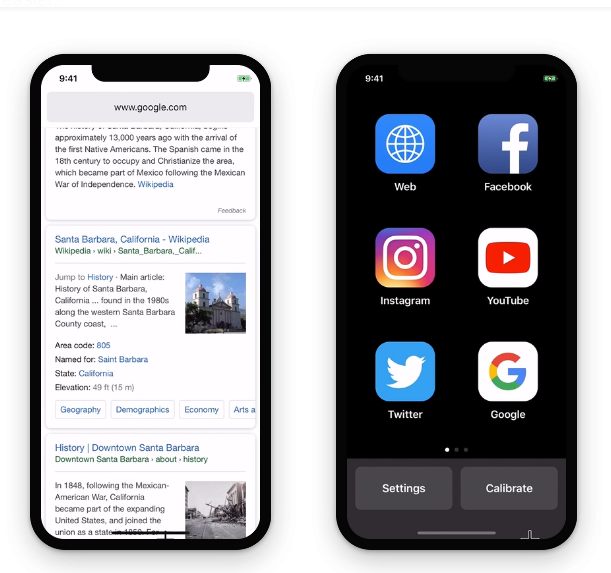 In the conference, Apple has introduced the latest iteration of its ioS 12. Although they have just given the demo on stage but now Apple has glossed with the new eye-tracking feature that users ARKit 2. 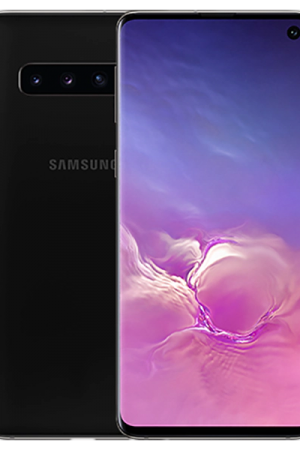 Usually, developers can now try and use the true depth camera on iPhone operating system to determine where your eyes are looking. This is available in iPhone X, XS, and iPhone XS Max and XR as well. “Hawkey Access” for IOS is a special feature. So, take advantage of Apple’s Latest Eye Tracking feature and technology just by allowing both eye and face movements. To use this feature, you have to use both eye and face movements simply to control your devices without hands. This is one of the incredible features which helps you to control your iPhone with your eyes. However, this feature is really not yet geared towards people but it is useful for people who often users there hands to control anything. Now as you are new to this feature let me dive into the in-depth discussion of this topic and let you know about how this works. Here I am going to show you how to control your iPhone using your eyes with ease. So, to control your iphone follow below steps. Firstly to control your iPhone with eyes all you have to do is install the Hawkeye Access App from the Apple App Store. 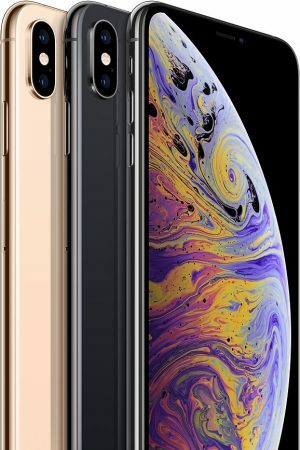 Thus hawkeye Access app only works on the devices which have true depth Camera including the iPhone X, XR, XS, and Xs Max. So, just download this app through your App store in iPhone only to control your iPhone with your eyes. You can find a dedicated app for iPad pro as well. After downloading the App from the apple app store. All you need to do is install it and open the Hawkeye Access. When you open the app, you will get a prompt screen that calibrates your eye movement. This process is used to ensure that your eyes and face sync with the phone. While doing the calibration all you need to do is ensure that your face is visible and also make sure that you have enough light to capture your eyes movements. Without proper lighting, your hawkeye app will not work correctly. So, its always best to test this feature only when you have good light. In this calibrating process, you will be asked to stare at the various points of iPhone at multiple stages just for few seconds to test. Once you have completed that a simple check mark appears on the screen and asks you to move on to the next step. Then just head over to the other level. After calibrating your app, you should move on to the next step that is nothing but the selection mode. Once you have completed calibrating you will be asked that choose a selection mode. In that, you can select “Smile,” “Hold Gaze” and “Blink” to make it easier to the app. If you are unsatisfied with your selection module, then have a chance to change it later on just by single click. You can change your app settings and select the best selection mode you want to try out. Until now, we have seen the process of installing the Hawkeye app. Now let’s see how to control your iPhone using your eye. Usually, Hawkeye Access is a vital web browser which allows all iPhone users to easily access bookmarked website just through its homepage of the app. 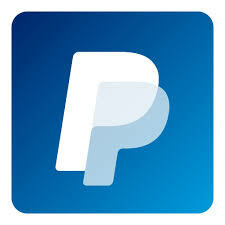 This also provides popular website and apps including twitter, youtube, facebook, Amazon, Google, and Wikipedia as well. So, this makes even simpler to you just to control your iPhone using your eyes. Now, to manage your iphone using your eyes all you have to do is start by opening the hawkeye App. After opening Hawkeye Access App move your eyes around. Here if you move your eyes around it acts like a cursor. So, each website appears in small sizeable blocks on this page makes it more comfortable to make a selection. Now depending on the what type of module you select, you to have to follow that action. For suppose if you choose blink then you have to blink or if you select a smile, you have to smile and so on to make the selection. Usually out of these three options blink is always best for you to easily access your iPhone using your eyes. I’ll mostly recommend using blink in the selection module. If you want to access the web with your eyes by using hawkeye access app means just go into the “web” section. Point your cursor to the top where you will write URL and just select it. Now you can use speech to text search feature without typing manually in the google search bar in Safari App. If you want to move across the webpage means merely use your eyes to look either all the way down or up until a small circle with an arrow key appears on the screen. Now, use selection mode and then the page will immediately scroll down or up. Along with these, you can also move forward or even backward by looking either left or right until you find a cursor with an arrow key. 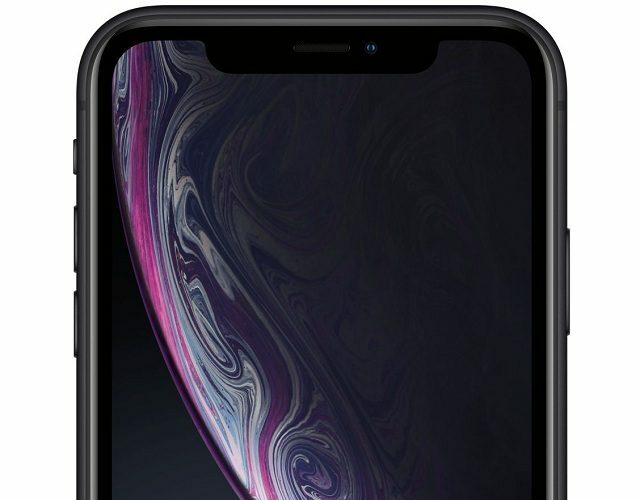 Meanwhile, if you want to return to the home means just look at the bottom right-hand corner of the screen until you find home button then just select it with blinking your eyes. That’s it. With these, you can simply control your iPhone using your eyes. If you want you can take advantage of the bookmarked sites. So, in that case, you don’t have to use speech to text. With this feature, you can access some apps quickly, but some apps might be very tricky to use. This is how you can control your iPhone using your eyes. Although to use this feature it requires practice, but it is definitely worth to try and important for cell phone freaks. At the start, I always find this Hawkeye app as a tricky app, but as the time goes on, I got used to it. Now, I am freely accessing it with ease. I hope I got your covered all the aspects of Hawkeye in this topic of how to control your iPhone using your eyes. In this modern world, we all love to have our privacy. If we don’t have privacy means we will get frustrated? Isn’t it. Privacy is a primary aspect these days and if you think somebody is watching you? Then you can stop those from tracking your location. In general, whenever you try to install an app, you will see a list of permissions. People generally don’t bother reading and do accept all permissions. 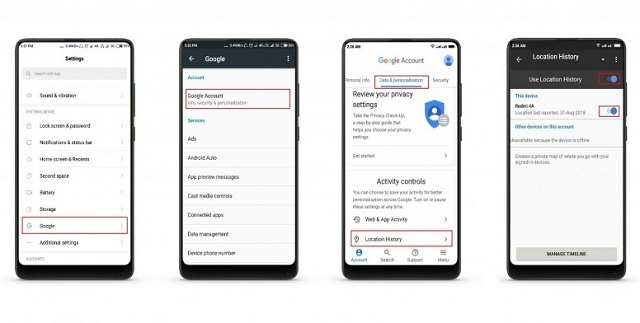 With these permissions, apps can request access to your contacts, send messages to them or even track your location as well. So you have to be careful while permitting those apps. As you are concerned about your privacy, you should always be aware of this. Or else apps can keep track of where you are. Now, if you are wondering how to stop apps from tracking your location then follow this guide. If you strive you know about how to stop apps from tracking your location means you should find out which apps have location access. Firstly, it’s always best to take not of apps which are having location data access. So, it’s still a good idea to review the app on your phone and find out those apps which presently have location data. In most of the cases, there are legitimate reasons for lots of apps to track your location any time. So, always be aware of it and try to deny access for most of the apps. But for some apps like banking sector and other private apps, you need to use location, in that case, activate the location at the time of your need and remove that again. As you are striving to protect your privacy, you can use the below steps to protect your privacy. In this post, you will learn about how to stop apps from tracking your location in Android Devices. If you are using the android device and strive to turn off location tracking entirely on your phone means it is easy to do that. Although this process is easy but it will differ from phone to phone. Here I am going to explain as much process as I can in this post on how to stop apps from tracking your location in Android Devices. Click on Security and location. Hover over to the setting. Then click on security and privacy. Go to the location services. This option will help you to turn off the location tracking for all apps. No apps can even access location by switching off to these settings. Unfortunately, switching to this setting cant track your phone when you lost your phone. So, you have to be careful while choosing for this option. If you strive to allow permission for few apps and restrict some apps means there is a process for that as well. To Restrict a specific app in android, you have to follow below steps. With these steps, you can only restrict apps in Android. Go to settings — then head over to Apps —– Menu —- App permissions and then —- locations. Head over to the settings — App and Notifications —- Advanced —- App permission — then head over to the location. Simply go to settings — App & Notification — Permissions —- Your location. With these settings, you can simply restrict apps from accessing your location. This is how to stop apps from tracking your location in 2019. Until now we’ve seen android device now you will see ” How to stop location tracking on an iPhone”. Before you are opting to change this setting, you should keep in mind about apps such as google maps and find my iPhone don’t work. So, just make sure you are confident enough to stop these apps from tracking your phone location or not. This how to stop apps from tracking your location in 2019. Always make sure you do choose everything perfectly or else you might not able to find your phone when you lost the device. So, think twice and take the decision. It’s always best to give access to apps like Find my phone and Google Maps. But if you dont need them then you can off your location.